The site is near Farran on the Cork to Bantry road. 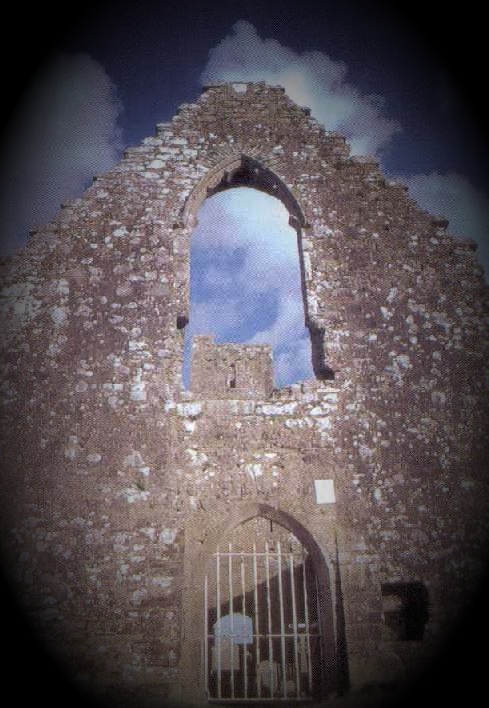 Remains: both church and convent are almost complete, although some of the cut stone has been removed; a small ivory crucifix from Kilcrea is kept in Cork friary. 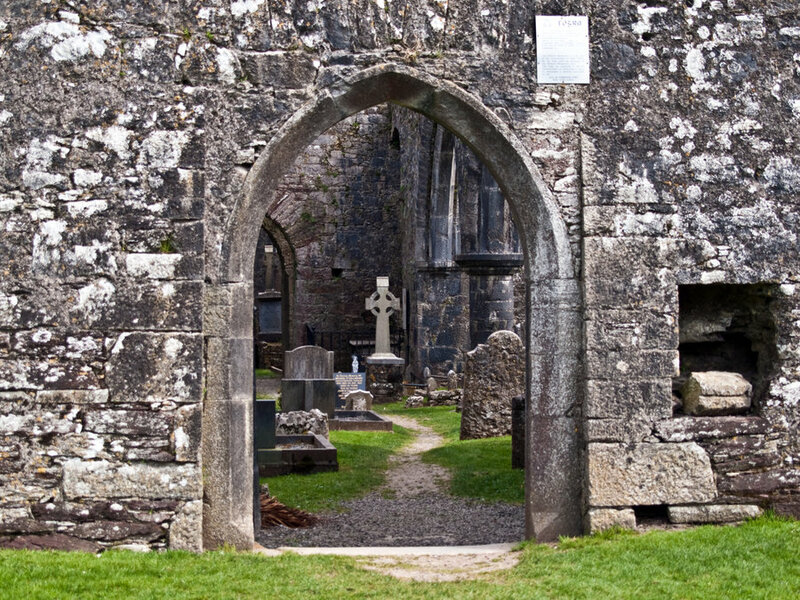 One of the early Observant foundations, the friars came to Kilcrea on the invitation of Cormac MacCarthy, Lord of Muskerry, in 1465. 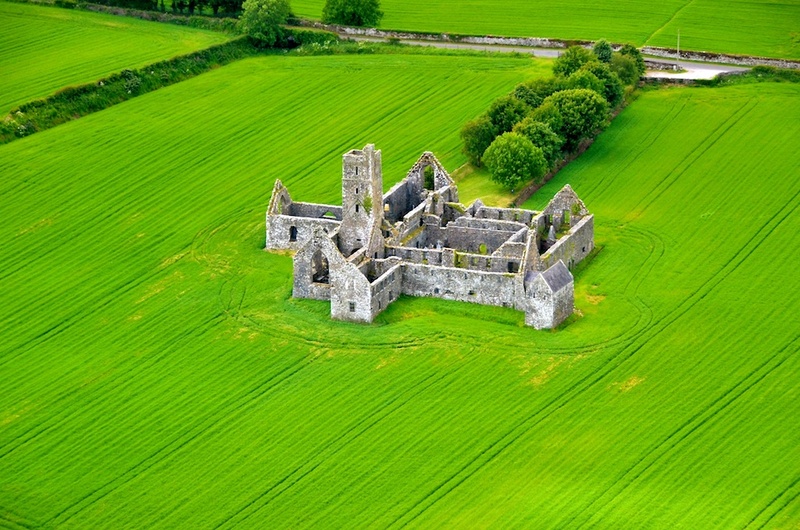 The house was protected from suppression by the MacCarthys and the friars were able to remain in residence until a raid by the English authorities in 1578, when two soldiers were killed in a fight over the spoils. When a permanent garrison was established in Kilcrea Castle (1599), the friars had to withdraw for a while, but had returned by 1603. they were finally expelled in 1614. 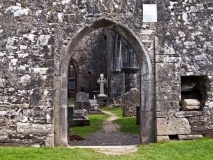 The friars continued to work from their places of hiding. The Anglican Bishop of Cork could complain, in 1731, of the friars who ‘creep into the houses of the weak and ignorant people, confirming the Papists in their errors’. 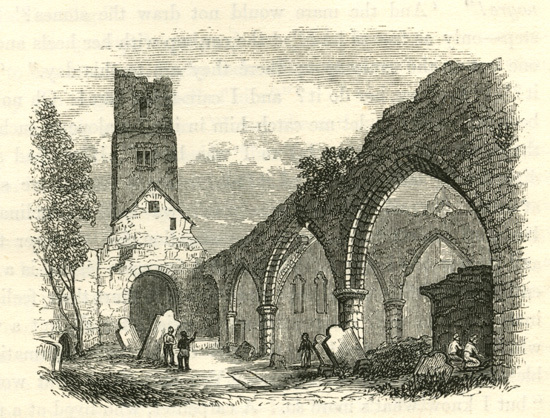 By 1766, the remaining friars had withdrawn to Cork city, from where they continued to do occasional work in the Kilcrea region at least as late as 1815.